Certification programs help to provide source of Johne’s-free livestock. This is critical for animal industries needing to halt the spread of this infection. Certification programs are loosely defined as measures designed to classify herds or flocks of animals based on the likelihood of M.a. paratuberculosis (MAP) infection. 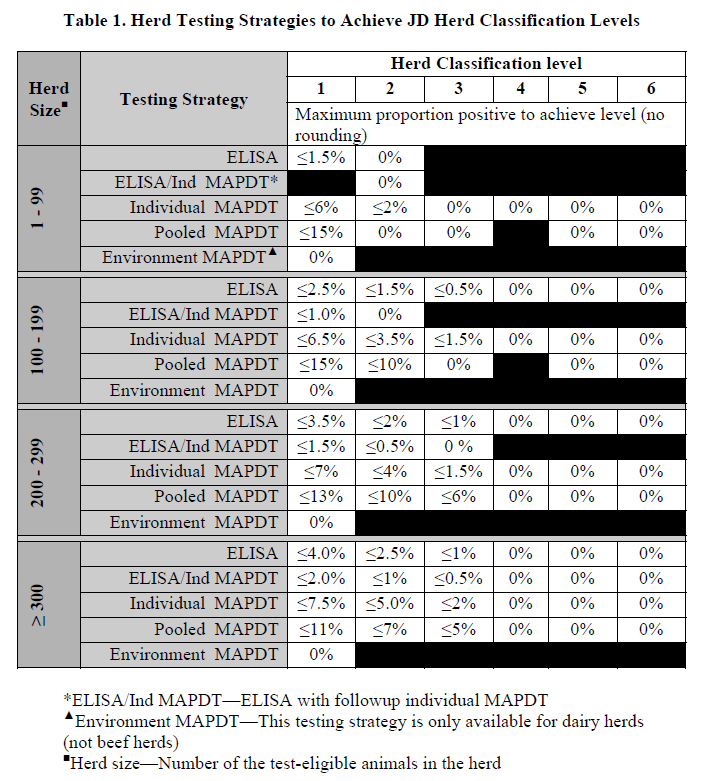 These programs have been created to help limit the spread of MAP infections among herds by creating a uniform system that can convey the chance of buying an infected animal from the herd. The word “certification” or “certified-free” is often avoided for these programs because such terms imply a guarantee that the infection is totally absent. It is difficult to be absolutely certain that a herd is free of the infection due to the biology of Johne’s disease and the capability of current diagnostic techniques to detect all infected animals in a population. 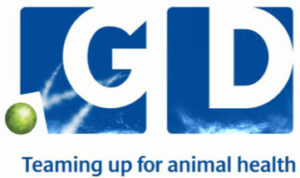 In place of “certification” terms like “Market Assurance Program” (Australia) and “Herd Status Program” (U.S.A.) are used. On this website, we use the term “certification” generically to encompass all such programs. 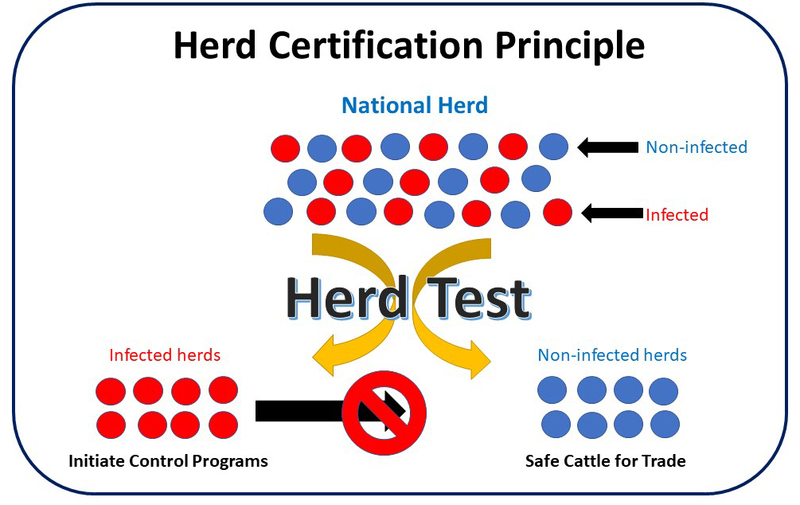 The schematic diagram above illustrate these two basic concepts: 1) apply a herd test to sort the herds and 2) prevent movement of MAP-infected cattle into the non-infected herds. Of course, this works best if all herds participate and is only achievable with one application of a test to all herds if the test was perfect. Lacking perfect tests, we must repeat testing annually. NOTE: In this graphic, the term “national herd” does not have to represent all the beef cattle herds in the country. It can just as easily represent all of the herds in a specific locale or of a specific breed. Breed associations can adopt these same principles to stop the ongoing spread of Johne’s disease among their elite breeders: it’s the right thing to do for the health and welfare of their animals and their organization. Certification programs can be operated by private domestic agriculture organizations as in Australia and The Netherlands or by governmental organizations such as federal or state departments of agriculture. They may be voluntary or mandatory. A certification program can be viewed as an onerous burden, interfering with the ability of herd owners to carry out their business. It can also be seen as a necessary program helping to maintain the health and well-being of animals plus the economic well-being of herd owners as well as the animal industry at large. The most fully developed certification programs covering multiple animal species are in Australia. A visit to their website is strongly encouraged. Note: The Australian Market Assurance Program for dairy and beef cattle, called CattleMAP was terminated November 1, 2016. It was replaced with alternative industry voluntary assurance systems. More about this is on the Australian website. Their Market Assurance Programs for sheep, goats and alpaca continue. Participation of animal owners in the design of a certification program and cooperation of owners with regulatory agencies and researchers specializing in Johne’s disease is vital to an effective program. These programs need evaluation, revision and refinement as they are implemented to identify weaknesses and make the programs stronger and more effective. Design of certification programs is an ongoing process that requires active involvement by all participants. Some programs, such as the one in the U.S., classifies herds by the percentage of the herd that is infected (prevalence). Others are directed only at the non-infected herds. Annual testing is used to graduate herds to higher levels of certainty that they are free of the infection. The reason herd tests must be repeated regularly is that diagnostic tests, for Johne’s disease or any other disease, are not 100% sensitive and specific. This means that on occasion infected herds are not detected (false-negative herd test) or non-infected herds are incorrectly classified as infected (false-positive herd test). Programs are designed to minimize such errors and a program epidemiologist is charged with monitoring test results on participating herds to be sure the tests are properly applied and interpreted. Most programs have an appeal process for the owners to use if they think the test results are incorrect. The programs also incorporate confirmatory tests to settle disputes. Annual herd testing and herd classification for Johne’s disease is very similar to what was done to control and eventually eradicate bovine tuberculosis (TB) and brucellosis (Bang’s disease) from many countries around the world using tests of comparable accuracy. Repeated testing of a herd that never introduces new animals from other herds or introduces only those animals of the same certification status, improves the probability the herd is not infected. This is called serial or sequential testing. It is possible, over time and with annual herd testing, to eliminate infected herds from the population of test-negative herds. This is accomplished by insuring that herds found to be infected in a given geographic area are not permitted to sell animals into the test-negative, presumably non-infected herds. The USDA Uniform Program Standards for the Voluntary Johne’s Disease Control Program (effective September 1, 2010) are available here: USDA Program Standards. Examples of National Programs for Johne’s Disease. The latest version of the U.S. program is available above (40 pages). The USDA website regarding national control and eradication efforts is here. The Dutch program is described here. The Australian Program is described here. Ireland has one of the newest national paratuberculosis programs. There extensive website has a wealth of information and is likely to expand as the Irish program advances. Johne’s disease is one of several diseases covered in this program to improve animal health and product safety. 2014 publication in Preventive Veterinary medicine that reviews control programs for Johne’s disease in 6 countries. Certification programs classify herds according to the probability that any member of the herd not MAP-infected. These programs are designed to help limit the spread of Johne's disease and to protect animal buyers. Herd owners need to participate in the process of design and implementation of Johne's disease certification programs for them to succeed.